Examine 13 of the rarest and most highly valued gems in the world of philately, including the most famous US stamp of all, the 1918 Inverted Jenny. 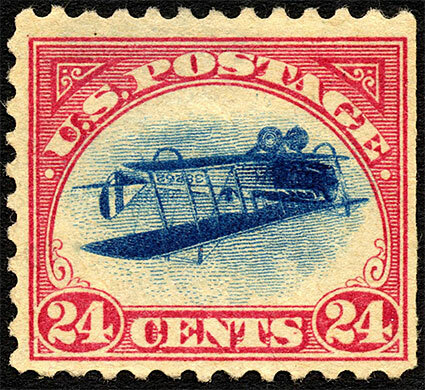 A video explains why the Inverted Jenny and other stamps are philatelic gems. Each of these items tells a story about a significant milestone in US history—from a surviving stamp proof of the 1765 Stamp Act stamp that so infuriated the American colonists to a lunar mail cover postmarked on the Moon by astronaut Dave Scott in 1971.